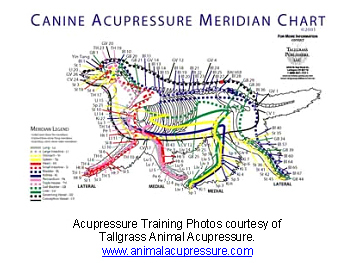 Acupuncture can be used to help improve or cure problems your pet might have, including those related to the musculoskeletal, reproductive, neurological, or gastrointestinal systems. Acupuncture can also be used to manage pain and hasten recovery after surgery. Acupuncture, which originated in China, has been used as a therapeutic treatment option for thousands of years. According to traditional Chinese medicine, the body is composed of several pathways called “meridians,” along which energy flows. When disease is present, energy is interrupted, or unbalanced. Stimulating acupuncture points along the meridians can restore energy flow, resulting in improved or cured health problems. Because the needles used in acupuncture are extremely thin, they cause minimal or no pain and are generally well tolerated by pets. However, incorrect placement of the needle or inadequate sterilization can result in pain or complications, which is why you should only have a qualified practitioner perform acupuncture on your pet. To determine if your pet’s condition(s) may be responsive to this treatment modality, please set up an exam with one of our qualified veterinarians.